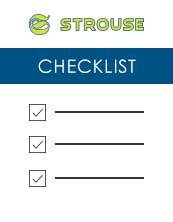 Strouse is one of a select few 3M Preferred Converters. We have the honor to be recognized as a 3M Preferred Converter, the highest level attainable for an adhesive converter by 3M. Our leadership has also served on the 3M Converter Markets Advisory Council. This is a testament to our process, capabilities, experience, and leadership in the converting industry. The partnership we’ve built with 3M not only provides Strouse with exclusive benefits, but advantages that we can pass on to our customers. Competitive Pricing – We order 3M materials in bulk on a regular basis. Purchasing large quantities provides us price breaks that can’t be given when buying the minimum order quantity of material. Custom Quantities – We often purchase large quantities of 3M material. Master logs of tape can be as wide at 60”. We convert these logs into custom length and width rolls. This allows us to provide you custom material in any quantity that you need. Access to New 3M Technology – 3M is known globally for their innovation and material technology. As a 3M Preferred Converter Strouse has immediate access to the latest products and materials created by 3M scientists. Access to 3M Specialists and Support – Each application is unique and each material is built for specific applications. Despite the thousands of material options provided by 3M it can be difficult to identify the perfect adhesive for unique applications. As a 3M Preferred Converter, we can connect you with specialists and tech support from 3M who are available to answer questions and help solve your problems. Rapid Turnaround – Our customers come to us with problems that needed to be solved yesterday. Being a 3M Preferred Converter we have many 3M products in stock already or can get expedited shipping on most materials. That allows us to create your part faster or through Sample Express get your sample part shipped within 48 hours! Strouse can die cut tape to custom sizes, shapes, and formats. We can provide you products in the form of custom width rolls of tape or custom cut parts on a roll, on a sheet of material, or as individual pieces.